Is there a Difference of Opinion? A difference of opinion is not negligence. In Bolam v. Friern Hospital Management Committee (1957) 2 All ER 118, the law was stated thus: "Where you get a situation which involves the use of some special skill or competence… The test is the standard of ordinary skilled man exercising and professing to have that special skill. A man need not possess the highest expert skill; it is well–established law that it is sufficient if he exercises the ordinary skill of an ordinary competent man exercising that particular art.…… A doctor is not guilty of negligence if he has acted in accordance with a practice accepted as proper by a responsible body of medical men skilled in that particular art.…… Putting it the other way round, a doctor is not negligent, if he is acting in accordance with such a practice, merely because there is a body of opinion which a takes contrary view." "A doctor cannot be held negligent either in regard to diagnosis or treatment or in disclosing the risks involved in a particular surgical procedure or treatment, if the doctor has acted with normal care, in accordance with recognised practices accepted as proper by a responsible body of medical men skilled in that particular field, even though there may be a body of opinion that takes a contrary view. Where there are more than one recognised school of established medical practice, it is not negligence for a doctor to follow any one of those practices, in preference to the others." 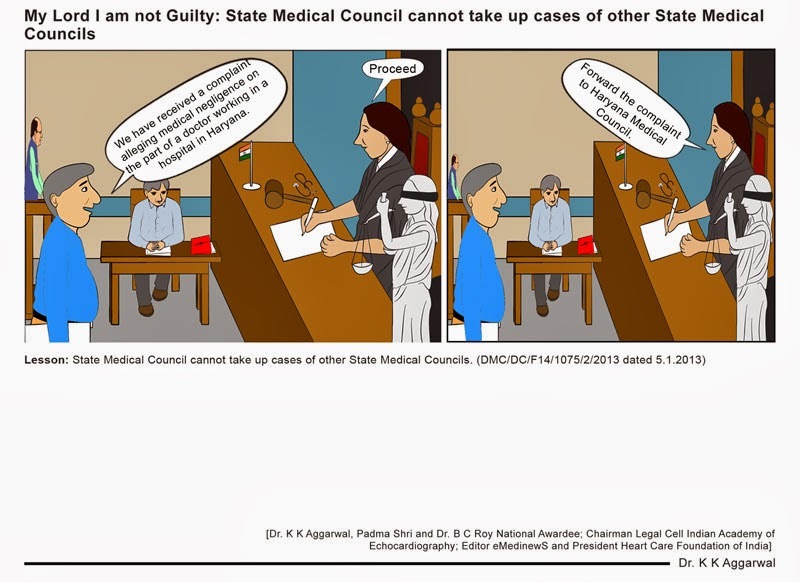 6 SCC 1, 334/2005/SCI/144–145 of 2004: Jacob Mathew vs State of Punjab and Anr: 5th day of August 2005: R C Lahoti, CJI: Hon’ble Mr. Justice G P Mathur, Hon’ble Mr. Justice P K Balasubramanyan. Bolam vs Friern Hospital Management Committee (1957) 2 All ER 118 (QBD). SCI, Civil Appeal No. 1949 of 2004, 16.01.2008, Samira Kohli vs Dr. Prabha Manchanda and Anr, B.N. Agrawal, P.P. Naolekar and R.V. Raveendran, JJ. The professor stood before his class of 30 senior molecular biology students, about to pass out the final exam. ‘I have been privileged to be your instructor this semester, and I know how hard you have all worked to prepare for this test. I also know most of you are off to medical school or grad school next fall, ’he said to them. ‘Congratulations, you have just received an ‘A’ in this class. Keep believing in yourself.’ I never had a professor who gave a test like that. It may seem like the easy way out of grading a bunch of exams, but it’s a test that any teacher in any discipline could and should give. Students who don’t have confidence in what they’ve learned are ‘B’ students at best. The same is true for students of real life. The ‘A’ students are those who believe in what they’re doing because they’ve learned from both successes and failures. They’ve absorbed life’s lessons, whether from formal education or the school of hard knocks, and become better people. Those are the people who you look for when you’re hiring or promoting, and the ones you keep if you’re downsizing. Your organisation needs their brand of thinking. Psychologists say that by the age of two, 50 percent of what we ever believe about ourselves has been formed; by age six, 60 percent, and at eight years, 80 percent. Wouldn't you love to have the energy and optimism of a little kid? There is nothing you couldn’t do or learn or be. Believing in yourself comes from knowing what you are really capable of doing. When it’s your turn to step up to the plate, realise that you won’t hit a homerun every time. Baseball superstar Mickey Mantle struck out more than 1,700 times, but it didn't stop him from excelling at baseball. He believed in himself, and he knew his fans believed in him. Surround yourself with positive people – they know the importance of confidence and will help you keep focused on what you can do instead of what you can’t. Who you surround yourself with is who you become. you also have much to contribute, and they deserve your support. Without faith in yourself and others, success is impossible. At the end of a particularly frustrating practice one–day, a football coach dismissed his players by yelling, ‘Now all you idiots, go take a shower!’ All but one player headed toward the locker room. The coach glared at him and asked why he was still there. ‘You told all the idiots to go, Sir,’ the player replied, ‘and there sure seems to be a lot of them. But I am not an idiot.’ Confident? You bet. And smart enough to coach that team some day. Moral: Believe in yourself, even when no one else does. We have had experience of more than 600 reabsorbable implants. There were a multitude of lesions: Bifurcation, calcified, long lesion, small vessel, ostial, CTO, ISR, tortuous, dissection It can be made to perform if one gets over the learning curve, the implantation is meticulous and judiciously used. Can the acute results which turn out to be safe, can they be transferred to long term results/ This is what we need to know from long term trials. Post SYNTAX & FREEDOM CABG vs PCI: Where & What does evidence support? The subgroup analysis in BARI trial: Outcomes worse in PTCA vs CABG in patients with diabetes with 5–year mortality 80.6% vs 65.5%, respectively. The ARTS I (multivessel disease randomized to BMS or CABG) and ARTS II (multivessel disease treated with SES) trials showed that at 5–year follow–up, CABG has comparable safety and superior efficacy compared with BMS and SES in the treatment of diabetic patients with multivessel disease. Two trials have changed the way we think and act: SYNTAX & FREEDOM. Functional SYNTAX score reclassifies 32% of patients from a higher-risk group to a lower–risk group. It is superior to anatomic SYNTAX score at predicting 1 year clinical events. FREEDOM – randomized trial of PCI and CABG for multivessel disease in diabetics: CABG was superior to PCI in that it significantly reduced rates of death and myocardial infarction; 5–year event rates 18.7% vs 26.6%. But the incidence of stroke was higher with bypass surgery and also they are more disabling. The totality of evidence suggests that in non diabetics PCI and CABG have similar long term survival rates in patients with multivessel coronary artery disease at 5 years. CABG has better survival rates compared to PCI in diabetics. Stroke rates are higher with CABG; revascularization rates higher with PCI. Substantial ischemia reduction versus complete anatomical revascularization is what produces good outcomes. There is a need to question complete anatomical revascularization which leads to unnecessary stenting, instead by guided by physiologic assessment of lesions and functional revascularization. Left main stenosis is no longer sacred and is a reasonable target for PCI if technically feasible and coexisting coronary anatomy is favorable. Do not give up for fear of failure. Thrombus aspiration should be done in most cases. Stent directly wherever possible – using optimal size and single high pressure inflation. What has been your experience of bioresorbable stents? 8 Indian centers after approval from the Drug Controller of India. The study did well, the patients did well and the results were presented to the Drug Controller of India in August 2012, which led to the approval of this device. I have had experience in using close to 600 of these resorbable stents and I must say, yes, these devices can be considered as a fourth revolution in interventional cardiology. Ten years ago I could not even think, or believe that these stents which could not be made of metal, could be made of plastic, and which would dissolve away in 2–3 years time leaving a normal artery behind… this now a reality and a fascinating one. Think of a patient with fracture foot; you plaster his foot, but he would never want that plaster to remain for his life. So if an artery is diseased and if it’s treated by a stent and once it has healed up in 6 months time, why should a metal tube remain behind for the rest of the life. There were challenges in the development of this stent, to be made of plastic and yet be able to have radial strength and rigidity to support the artery and then disappear over a programmed period of time over 2–3 years. This device has been actually shown to not to be just effective and safe, but also to restore the artery back to its original structure, and physiological function like the way it had been when it was never diseased, like the way God gave us. Obviously there is a lot more data to come from these stents over a period of time and as we will have 5- and 10-year data of large studies, we would know that the real potential benefits of these could be tremendous especially in this group of younger patients developing heart disease and who will have to have an implant for the treatment of CAD which will last them for the next 40 years in the coronary arteries. Once they disappear, these devices would allow us to stop antiplatelet treatment at will and the psychological impact and benefit is phenomenal. Think of a young person, who knows that he has a stainless steel stent into him who he believes he is carrying for the rest of his life versus a person who has got this dissolvable stent into him. And who knows that after two years, there is nothing in his coronary arteries and then normal, the psychological impact and benefit over the subsequent 40 years is enormous – of not having an implant in coronary arteries. So we are looking at a new revolution in science. How do you ensure that the stent is absolutely essential? 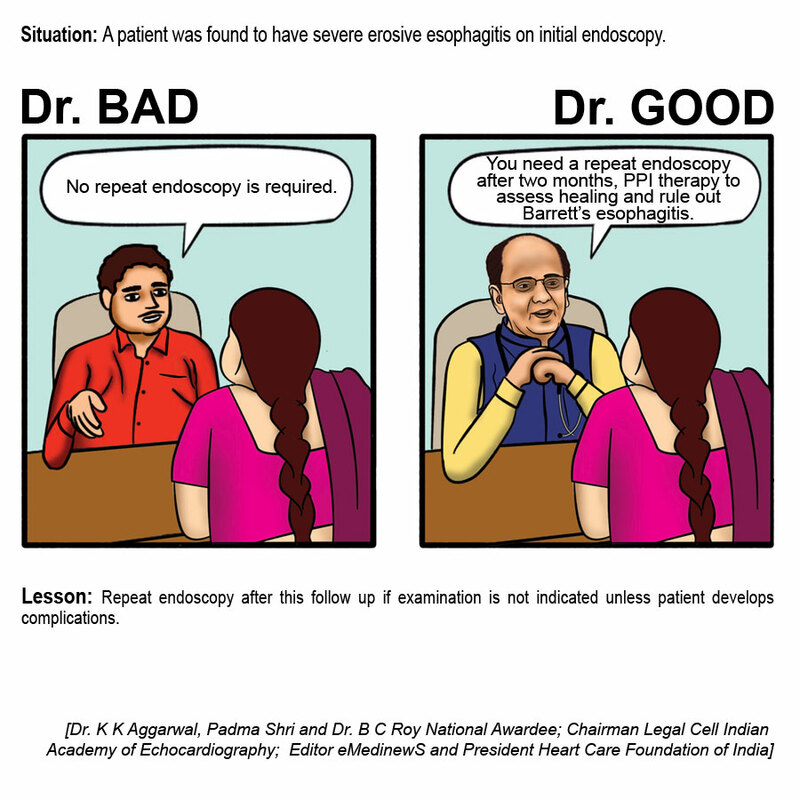 When is a stent not required; when is it required and when is the use of stent undecided? There was an apprehension that it would not be possible to use these bioresorbable stents in all forms of CAD, as they were made of plastic and of a thicker material. But our experience has grown rapidly in this area and we have now shown that we can treat a variety of blockages with these bioresorbable stents just like a metallic stents. Much of our data has been appreciated across the world and has been now printed in leading scientific journals. When we say that blockages or stenosis greater than 70% do require stent implantation, these are just visual estimations, which are based on the fact that stenosis greater than 70% causes ischemia and therefore requires treatment. The whole philosophy is based on documentation of ischemia, an essential part of treatment of CAD. So, if one is able to demonstrate ischemia either on symptoms – if the patient has aggressive symptoms or if significant ischemia has been demonstrated on exercising testing, stress echo, nuclear test or on table, these require treatment of CAD whether it is through substantive plantation or surgery. Aspirin, statins and lifestyle therapy are the cornerstone of treatment for all patients with CAD, some of whom have required angioplasty or bypass surgery as well. In fact 50% of CAD patients are treated on aggressive medical therapy because aggressive medical therapy has a lot to offer to the patients. If on table we have a doubt of any blockages or stents than we do a technique called FFR or Fractional flow reserve where we measure flow into the coronary artery through the stenosis and are able to therefore decide that if the flow is limited in an artery through any stenosis whether visually it looks 50% or visually it looks 90 % than it requires stent plantation otherwise it can be treated by medication. We do hope for outcomes in patients with severe ischemia so angioplasty. Who choose a stent: the cardiologist or the patient? A variety of stents are available based on research and science development. We have stents which now have been researched and manufactured in this country. So the price of various stents matters in a number of ways. There are certain stents that have been tested and tried out over a period of time through large randomized studies, while there are other stents who haven’t got large pivot randomized studies but only have small registries. All these make a difference between the stents choices. Then, there are situations of anatomies of coronary arteries or the way we want to treat the blockages, which may influence stent choices. I think it is very important that the patient should be given complete information about every aspect of the stents, in fact every aspect of the treatment per se. He should be told what the benefits of medical treatment are; he should be told about the benefits of angioplasty and benefits of bypass surgery. At the same time, he should also be told of the deficiencies of each very well. The patient should also make the decision in association with the cardiologist about the choice of stent itself because that is based on life. The patient then makes a choice of the treatment as an informed choice in association with the cardiologist. So it is a combined decision about what stent to implant. A stent cost Rs 40, 000 in CGHS. 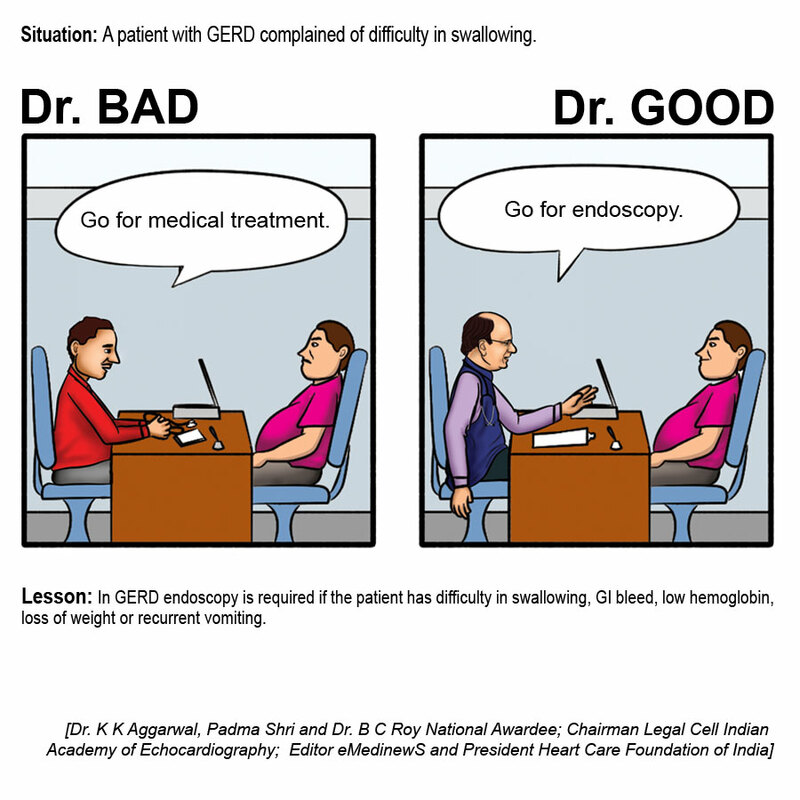 Is it a good quality stent or should the patient buy a more expensive stent if he/she can afford it? We need to understand that all the stents being used in India are approved by the Drug Controller of India, so we cannot state that a stent is bad or good. But, what is certain that the stents which are FDA approved or many of the European stents or stents, which have been come from abroad, are actually established. They have data from large pivotal multicenter randomized studies, sometimes multiple studies done with long and meticulous follow ups. These are monitored studies and audited. Some of these stents, which are becoming available at a very less expensive price, have not gone through large randomized studies; they only go through small registries with limited follow ups. While they may be of good quality, there clinical outcomes have not been thoroughly studied. So the safety gets proven, but their efficacy needs to be proven in a larger number of patients for a longer time period and that’s what missing at the moment. So one would not say that they are inferior but there prevalence has to be proven in randomized studies compared to the present gold standards. And that is why I do say that if I were to have an implant, and if I had a choice and if I could afford it, then I would rather go for a stent which has gone through large randomized studies, multiple large randomized studies over a long period of time to tell me that it is safe and effective or has the best results. Because it is an implant and you cannot remove it once it has been implanted. If there are numerous limitations in terms of finance, availability and others than it is fine because these devices are safe and probably may be effective as well. Distal LM with MV CAD with a Syntax score of 38 needs a heart team approach and CABG must be offered before an angioplasty is planned. IVUS will help us in appropriately sizing stent and planning the strategy. Lesion bed preparation is the key in getting better stent CSA for reducing TLR and MACE. For ostial and shaft LM lesions, FFR is crucial. Threshold 0.8 is more predictable 0.75 and 0.8 use other parameters also. Lesion preparation is most important in left main. Direct stenting strongly discouraged. Hemodynamic support (IABP, Impella) is permitted, but not usually required. Single stent (IVUS-guided) better than 2 stents. Distal LM bifurcation provisional stenting recommended. Two stents must have a final KISS. PCI or CABG – which is better? Similar mortality at 3 years. There has been a tremendous progress in metallic stents. Strut thickness has reduced by two-thirds. But what has been shown from experimental models and large trials that some amount of device resorption dos occur. Return of Physiological cyclic strain is important. Assessment of vascular compliance by elastography (pre, post, 6 and 24 months after bioresorbable scaffolding). The translation of mechanical forces into chemical signals by cells is referred to as ‘mechanotransduction’. Normal responses to physiologic pulsatile cyclis strain and shear stress lead to cellular responses that stabilize the vessel. We have come a long way in stents, we have sorted out many problems, but we still have some problems such as neoatherosclerosis, late stent fracture and diffuse disease. BVS is not a new concept, it gives the patient and the physician that there is no metallic stent in the body after 2–3 years. But it cannot be used in calcified lesion, fibrotic lesions. Technical problems with present generation BVS: strut thickness, side branch lesion, tortuous lesions. We do not know if they are going to be equal to present generation DES in the long term. We need to find out equivalence in short and long-term where 1:1 randomization is done. We need to find out the optimum duration and the long term results in MI and diffuse disease. But we have a device, which is very promising, with advantages of dilatation, tissue remodeling, endothelial function restoration and increased exercise capacity. But there are many questions yet unanswered, which will be provided by trials. But, if things are equal in all aspects, BVS is a device that should be considered in all patients. • In-stent restenosis (ISR) occurs in 3–20% in DES era depending upon patient and clinical characteristics. The reasons: biological, mechanical and technical. • Predominantly focal and the presentation can be CSA/ACS. • Most of the published data are from small studies. different drug DES for diffuse ISR. • It has acute results like metallic stent, radial support like metallic stent. The long term benefits are probably like of DES. • It is technically feasible to use absorb in ISR cases. • Radial strength seems good. • Long term follow up is required. Non stent–based local drug delivery during percutaneous intervention offers potential for sustained antirestenotic efficacy without the limitations of permanent vascular implants. Preclinical studies have shown that effective local tissue concentrations of drugs can be achieved using drug-coated balloon (DCB) catheters. Matrix coatings consisting of a mixture of lipophilic paclitaxel and hydrophilic spacer (excipient) are most effective. Clinical applications most suited to DCB therapy are those for which stent implantation is not desirable or less effective, such as in–stent restenosis, bifurcation lesions, or peripheral artery stenoses. Randomized trials have shown superiority of DCBs over plain–balloon angioplasty for both bare–metal and drug–eluting coronary in–stent restenosis, and similar efficacy as repeat stenting with a drug–eluting stent (DES). By contrast, randomized trials of DCBs in de novo coronary stenosis have, to date, not shown similar efficacy to standard–of–care DES therapy. In peripheral artery disease, DCB therapy has proven superior to plain–balloon angioplasty for treatment of de novo femoropoliteal and below–the–knee disease, and shown promising results for in–stent restenosis. Antibody tests – rapid fluorescent focus inhibition test (RFFIT), mouse neutralization test (MNT) – are done only at select few reference centers in India. Antibody tests are not required on a routine basis following antirabies vaccination if vaccination is correct and reliable. Scorpion bites are common in India. Usually, these bites are harmless but sometime have serious clinical sequelae, including death. Tarachand Saini and Colleagues at Dept. of Medicine Jawaharlal Nehru Medical College, Ajmer have reported a case of scorpion bite that presented with acute severe myocarditis in the January Issue of Asian Journal of Critical Care. There are about 1,500 species of scorpions worldwide, out of these 50 are dangerous to human. Among 86 species in India, Mesobuthus tamulus and Palamnaeus swammerdami are of medical importance. Almost all lethal scorpions except Hemiscorpius species, belong to the scorpion family called Buthidae. Scorpions live in warm dry regions throughout India. They commonly inhabit the crevices of dwellings, underground burrows, under logs or debris, paddy husk, sugarcane fields, coconut and banana plantations. Their distribution is more in regions with abundant red soil. They hunt during night and hide in crevices and burrow during the day to avoid light. Scorpion stings increase dramatically in summer months and lower in winter. Scorpion stings causes a wide range of manifestation, from local skin reaction to neurological, respiratory and cardiovascular collapse. Cardiovascular effect are particularly prominent after stings by Indian red scorpion (M. tamulus). Answer for 28th February Mind Teaser: 3. Bone erosions. A man was driving when he saw the flash of a traffic camera. He did this a FIFTH TIME and now was laughing when the camera flashed as he rolled past, this time at a snail’s pace. Two weeks later, he got FIVE tickets in the mail.……for driving WITHOUT A SEAT BELT. Reaction: : Oh my God! Why did you drain so much ascitic fluid? The harder you fight to hold on to specific assumptions, the more likely there's gold in letting go of them. John Seely Brown .